Ben Smith, ECD at The Mill, was commissioned to create and direct the title sequence and prologue for the new feature film ‘Pride and Prejudice and Zombies’, directed by Burr Steers. Based on the genre-melding novel by Seth Grahame-Smith, Jane Austen's 19th century tale of tangled relationships between lovers from different social classes is reimagined in an alternative universe where a zombie outbreak has fallen upon the land. 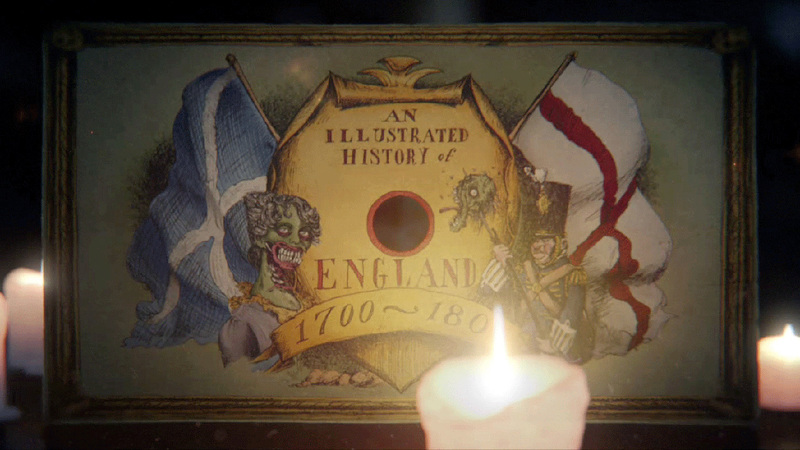 The prologue, ‘An Illustrated History Of England 1700-1800’, introduces the audience to Austen’s world of polite society, matchmaking and zombies via a clever re-telling of history that explains the origins of the zombie plague. Burr provided Ben with a list of fictional and historical events that would open up this world to the audience. Tales of zombies and kung fu combat weave and merge with real world events and prominent figures from the time period to make the prologue feel authentic. The Bubonic plague becomes a zombie virus while King George III is sent reeling into madness after witnessing an apocalyptic style zombie attack. In keeping with Regency-era authenticity, the prologue unfolds through a tunnel book, providing a theatrical stage for the fictional narrative to take place. For Ben, tunnel books were the perfect way to reimagine Mr. Bennett retelling the history of the zombie plague, as they were incredibly popular during the era. Tunnel books consist of a set of pages bound with accordion-like strips on each side with an opening on the cover that provides a view through the entire book. Images on each page work together to create a three-dimensional scene that give the illusion of depth and perspective as the story unfold through colourful vignettes. To maintain the authenticity of the historically accurate medium, Ben looked to one of the great artists of the time, 18th century satirical cartoonist James Gillray. 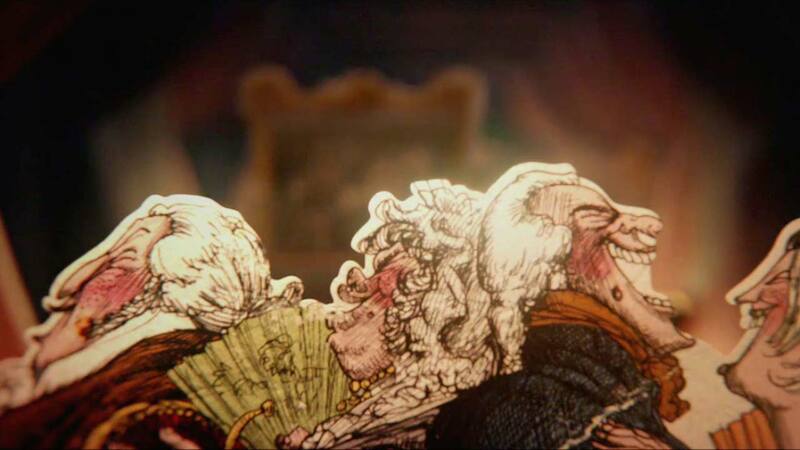 Ben enlisted the talents of modern day cartoonist Martin Rowson (The Guardian), to create authentic hand-drawn illustrations for the story, which were then brought to life completely in 3D. Rowson’s illustration were cut out onto cards and animated to create the perspective of moving through a tunnel book, and then paced to align the in-camera reveal with the soothing voiceover by actor Charles Dance (Mr. Bennet). Ben grounded the prologue in the bedtime story setting by incorporating the girls’ giggles and interactions with Mr. Bennet, and lighting the film with CG candlelight, which was “blown” out at the end of the story. The team added in the imperfections of a cherished family book like little folds and creases, while also adding dust and lens artifacts to help transport the audience into the girls’ perspective. The Mill's Senior Designer Chet Hirsch designed the elegant film logo to reflect the clashing dual genres, combining a script font evocative of the Regency era with an impactful blocked letterpress font to represent the zombie element of the film. The afterword of Ben’s story is the brilliant experience of the red carpet film premier in London where he hit the red carpet alongside Steers, Rowson, the film’s stars and a selection of wandering and groaning zombies.